For affordable results and quality services, look no further than Sydney Translations. Whether you need a Thai to English or English to Thai translation services provider, we got you covered. Simply submit your order online via the enquiry form, and we will send you an email containing the exact quote in 15 minutes. For exceptional Thai translation services, Sydney Translation is the most sought after translation by hundreds of businesses and individuals. Our network of experienced project managers and NAATI certified Thai linguists are what make us the leading translation provider in Sydney for the Thai language. 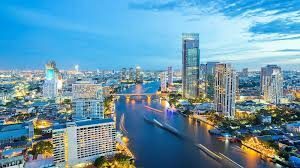 We are well known for providing the most affordable and highest-quality Thai translation services with a fast turnaround. With our NAATI certified translators, your projects are ensured to meet Australia’s high standards for Thai translation services in terms of accuracy and quality. Our translations can be used for submission to different authorities that require NAATI accredited translations. We make it fast and affordable to easily get your content professionally translated by experienced and highly skilled NAATI certified translators. We provide translated documents the same as or even better than the source document. In Sydney, we offer the most affordable pricing for a NAATI certified Thai translator. We provide standard documents for as low as $69 per page. Pricing depends according to the document’s length, subject matter, language, complexity, and deadline. To get an instant quote on your project, complete the translation quote form and receive an exact quote in no more than 15 minutes. Don’t wait and get your translation started today. We accommodate both standard and urgent Thai Translation Services. Our NAATI translators are capable of finishing a 3-page document in 2 to 3 working days with the Standard Thai Translation Services. On the other hand, if you are in a hurry, we can process your urgent translations in less than 24 hours. Just let us know your deadline when you complete the quote form on this web page or get in touch via the Live Chat. To get your document translated, just follow these four easy steps. Complete the online translation form on this web page. Send us a photo or scan of your document. Our Thai translation specialists will assess it and send you a detailed estimate in less than 15 minutes through email. Make a payment via bank transfer, PayPal transfer or simply use your credit card. After we have completed your translation, we will send you a draft copy and ask for you to approve and review it. If approved, we will send you the final soft copy and a certified hard copy by post (if needed). No need to deal with all the traffic just to come to our office, you can avail of our Thai Translation Services online and receive your documents online anytime and anywhere. The Thai Language is sometimes called as Siamese and have emerged from an area between Vietnam and China. It was developed around the 13th century. More than 40 million people around the world speak the Thai language. It is mostly used in Thailand where it is listed as the country’s official language. The Thai language is in tonal language just like the other neighbouring Asian languages. It currently has five different tones and uses 44 consonants and 32 vowels.